PT. Datanet Indomedia has over twenty years of experience providing document output solutions to meet customer needs. Their vast experience working with banks and financial organizations enables them to understand their clients’ specific needs allowing them to deliver targeted solutions using modern technology. Service bureau and document output solution outsourcer serving the banking and financial industries market. PT. 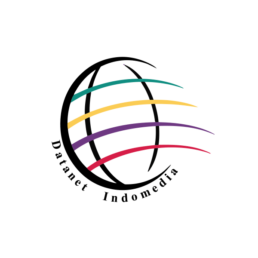 Datanet Indomedia is an Indonesia-based company which provides document management related services for its clients. Founded in 1997, PT. Datanet Indomedia provides unique and specialized services to process data and develops documents to support banking and financial statement production and distribution. The company is headquartered in Jakarta and has several branches and drop centers to support its global distributions. Their business processing services include printing, finishing, inserting and mailing using professional couriers. Equipped with the most modern technology from leading printing and inserting machines from worldwide manufacturers, PT. Datanet Indomedia has the knowledge and experience as a leader in the business document management services market. PT. Datanet Indomedia develops, processes and distributes several different types of documents for its clients, including financial and banking statements, business correspondence, letters, bills, invoices and more. Each of the document types are diverse and have their own requirements and production challenges. Solimar Systems interviewed, Lexsi Permana, Head of Commerce at PT. Datanet Indomedia to discuss how implementing Solimar technology has enhanced their infrastructure and improved their workflow capabilities through output automation. As a new user of the Solimar® Print Director™ Enterprise (SPDE) solution, PT. Datanet Indomedia quickly discovered the value and benefits of the enterprise output management system. The client-server-based enterprise print management solution has improved the performance of production output processes and optimized management control at PT. Datanet Indomedia. Utilizing advanced technology, SPDE combines multi-level security, remote administrator and operator access, event logging and notification, direct device connectivity capabilities, powerful job routing and tracking with industry-leading data stream transformations. SPDE has given PT. Datanet Indomedia the flexibility to receive various output file formats and print them using any of their production printers. This is accomplished by SPDE performing conversion routines on print files to support the requirements of their production printers. The SPDE functionality has provided an input and output environment allowing them any-to-any connectivity for their IT infrastructure. By providing combinations of inputs, outputs, and data stream conversions, the SPDE system has served as a powerful print manager that transparently supports their workflows that involve high volume printing and inserting. In addition, the SPDE solution provides PT. Datanet Indomedia system administrators control in defining processing rules and workflow paths for all their client projects. SPDE also offers automation functionality by providing access and control over print queues and jobs allowing PT. Datanet Indomedia to initiate and halt job processing, move jobs between various queues, control reprints, set event notifications plus many other features that help automate workflows.